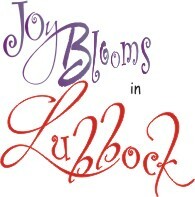 Lubbock became home in the Spring of 2011. When we first came to live in Lubbock (2011), I wanted to know how to get from point "A" to points "B, C, D, etc." So I created this page to help in the navigation. Hopefully, it is a good starting point for you too. The first thing you notice is that the city is laid out on a East-West and a North-South grid. There is a loop that goes around the town - Loop 289. The only exception is "the Loop." Some of the streets do not intersect the loop, so that can get a little tricky. Love that fact that Lubbock is set up on a simple grid plan. It is very easy to find your way around. Nothing is really more than a 15 minute drive (at posted speed limits). What a city! In Denver it took 15 minutes to get out of the neighborhood. As a result for the first several months in Lubbock, I arrived way too early before I accepted that it really only took 15 minutes to get any where. Named or Lettered Avenues run North to South. Number Streets run West to East. We have found that just about anything we need to buy or a place to dine are found on Slide Rd. It certainly is a good place to start looking for shopping opportunities & food.